What Is A Course in Miracles Audio? Welcome to a huge and entirely free A Course in Miracles audio collection of David Hoffmeister’s A Course in Miracles teachings. These practical teachings will take you from your head to your heart and into the actual experience of what A Course in Miracles (ACIM) is pointing us to. These audios can be a truly helpful tool on your path to Awakening, particularly if you have struggled with applying the principles of ACIM to your daily life and desire clarity of mind. Start listening now! A Course in Miracles Audio: David Hoffmeister is a heartfelt demonstration of the teachings of A Course in Miracles. Through miracles, David has come into full trust of his divine reality. For those who feel a deep inner call for Awakening now, David is complete inspiration! Through his experiences, David has come to know that he could trust in the Holy Spirit completely. Everything he seemed to need or accomplish was given without any effort whatsoever. Consistent mind training, introspection, and a profound devotion to A Course in Miracles helped him to free his mind from ego chatter. Through following ACIM all the way, David experienced the full transfer of training and now lives from the Awakened Mind. All of the audios on this site are made available to the public solely on a donation basis. Your contributions are greatly appreciated and help us continue to provide this free service. Feel free to make a donation. The audios you will find on this site are also available as audio downloads or CDs. Order your copy now. An inspired collection of ACIM teachings covering all topics and questions the spiritual seeker encounters on the path to Awakening. This new site is an oracle of Awakening! Sign up now for easy access to the deepest David Hoffmeister ACIM teachings audio. Golden nuggets of enlightenment ensure a sparkling result for every search. David speaks from the Awakened Mind, meeting you exactly where you’re at with incredible clarity and care. His talks share how to stop managing anxiety and fear in order to actually heal them. It’s practical and it’s powerful! ACIM.me has hundreds of hours of A Course in Miracles audio teachings, in easily searchable categories. All you have to do is type in a keyword, phrase, or topic and you will access a number of talks that address the very question on your heart. 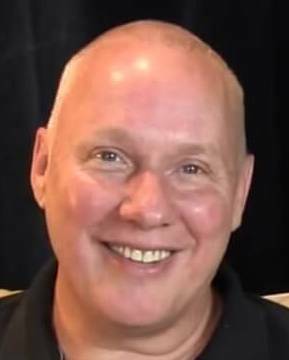 Check out David Hoffmeister’s new searchable ACIM teachings video site. Sort by topic or use the emotional index to receive your given answer! Hundreds of hours of transformational videos for everyday problems. Sign up for exclusive access to David’s latest teaching videos from his gatherings around the globe. “You want it to be mystical and you want it to relate to you, so perfectly that you can’t miss it! Like the Universe is calling your name and saying, ‘Here, this is for you. You are the entirety of everything, you are limitless, you are boundless, you are pure spirit and I’m sending a message to you that you’ll be able to smile and almost wink and go thank you, thank you. '” —David Hoffmeister. No need to act out your fearful beliefs in your own life when you can let the characters on the movie screen do it for you. This new online Movie Watcher’s Guide to Enlightenment is an innovative way of healing painful life patterns in the comfort of your own home! This is a safe way for you to sit back and observe all that is happening in your mind while allowing any feelings and emotions to come up for healing release. This site is a powerful and innovative way to release painful memories and fearful concepts. With an emotional index, multimedia movie setups, a section on mind tools, and an ever-expanding list of the best Awakening movies of all time, this comprehensive online guide offers a swift and joyful opportunity to remove the blocks and heal. David Hoffmeister ACIM books and resources, including This Moment Is Your Miracle and #1 bestsellers, Quantum Forgiveness, Unwind Your Mind Back to God: Experiencing A Course in Miracles, Awakening through A Course in Miracles, and many more. 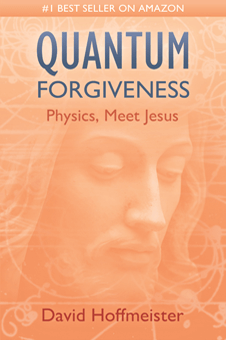 Quantum Forgiveness: Mystic David Hoffmeister uses seven mind-expanding movies as modern-day parables to guide you into an experience of Quantum Forgiveness. Mystical Mind Training Program is a comprehensive online ACIM mind training program. 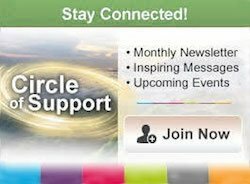 This is a beautifully designed multimedia program including videos, music, audios, and writings which are woven together in a platform designed to heighten the understanding of the metaphysics of A Course in Miracles and transfer the training to everything that is believed, without exception. It’s a support for coming into the experience of what ACIM is pointing to. Your participation is a fast track for healing! Teacher of Teachers is a study aid to help you practically apply the teachings of A Course in Miracles. Access over forty-five hours of David Hoffmeister’s ACIM audios and nearly 250 pages of written material. The Doorway offers self-study online courses to help you deepen your experience of A Course in Miracles. This is a multi-media platform including awakening ACIM movie sessions, inspired ACIM music, and insightful assignments! This website is made available through the non-profit Foundation for the Awakening Mind and its ACIM community of humble volunteers. Visit awakening-mind.org to learn more about this foundation and what it’s like living A Course in Miracles in community. Awakening is not individual or personal. It is a collaborative venture. In community, we become aware of the One Mind awakening and get in touch with everything it believes for the sole purpose of being released. Also explore Living Miracles, the sister organization of Awakening Mind.